Maybe I should dub this “magnolia week”. It is that time of year. Sweetbay is a coastal plains plant, so I wouldn’t expect to see it in the Potomac Gorge, except maybe on the southern end. (The one pictured here is from my evergreen garden, which is slowly becoming a native plants showcase.) Its native range is from southern Massachusetts along the Atlantic and Gulf coasts to Texas. 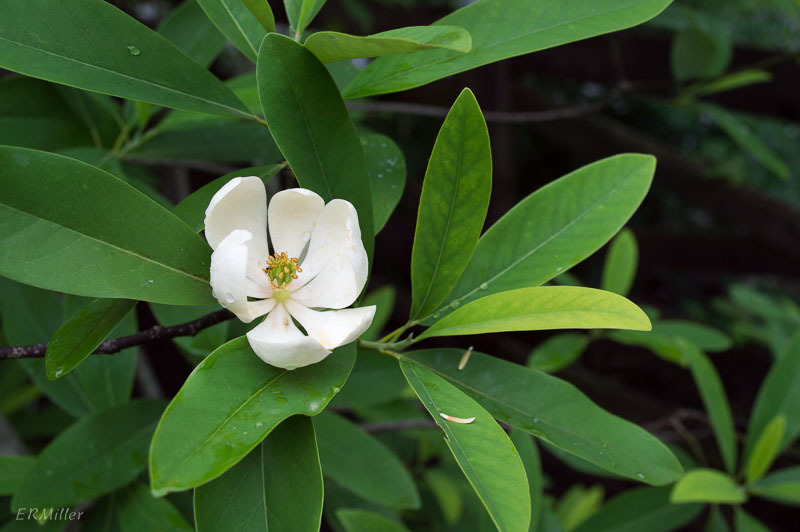 It’s endangered in Massachusetts and New York, and threatened in Pennsylvania and Tennessee. This magnolia likes wet, acid soil. 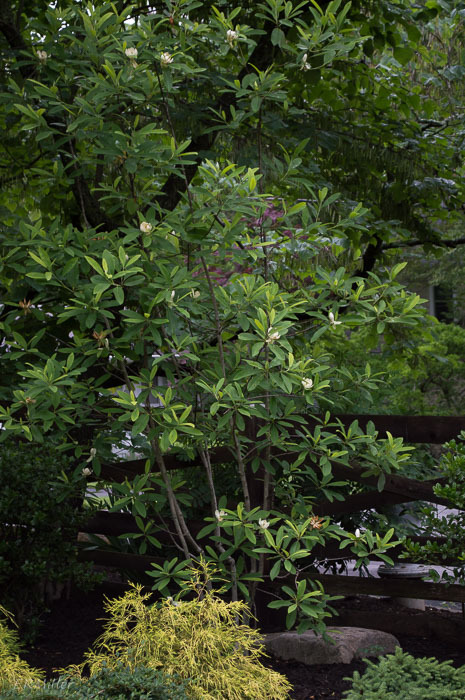 It’s a slow-growing, small-to-medium sized tree, often multi-trunked, with a narrow crown, making it suitable for narrow vertical spaces in the landscape – say next to a building, or as a street tree. In warmer climates it’s evergreen. The flowers have a lovely, mildly citrusy scent. 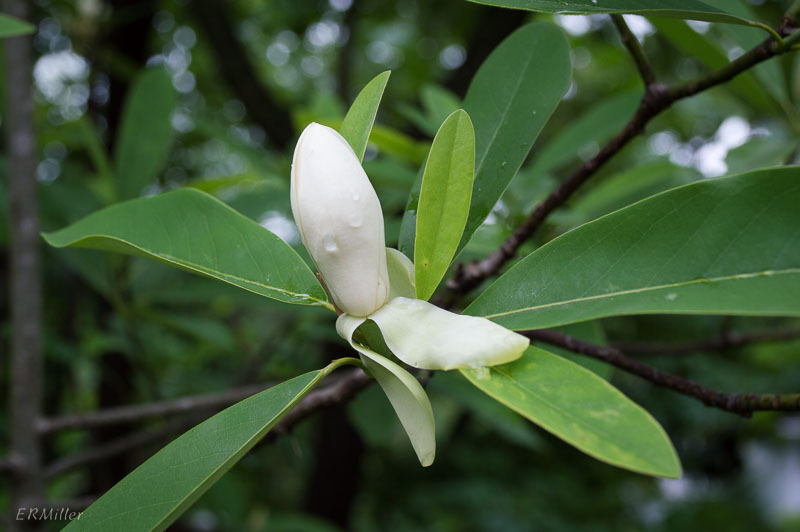 This entry was posted in Uncategorized and tagged magnolia, Magnoliaceae, sweetbay by elizabeth. Bookmark the permalink.